Just a quick update on my work on the new blues book, this is going to be vol 2 of ‘Contemporary Blues Soloing’ and will deal with chords and comping. Again this is going to start from very simple comping concepts to go towards more complex stuff, not only in terms of chord choice, but also rhythmically. 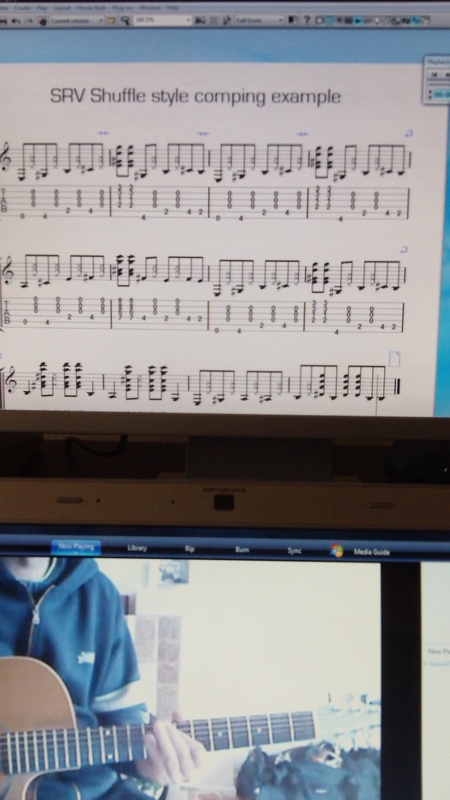 I am thinking ‘Contemporary Blues Chords and Comping’ as a title…again, it might change. Obviously this is going to be available in English and in Italian.